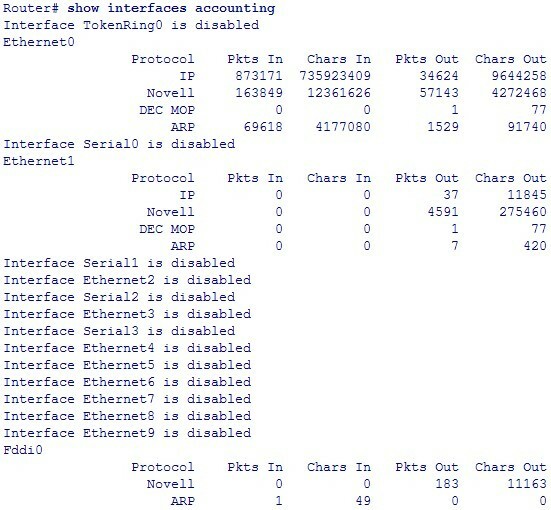 Show interfaces: Use the show interfaces EXEC command to display statistics for all interfaces configured on the router or access server. The resulting output varies, depending on the network for which an interface has been configured. type (Optional) Interface type. 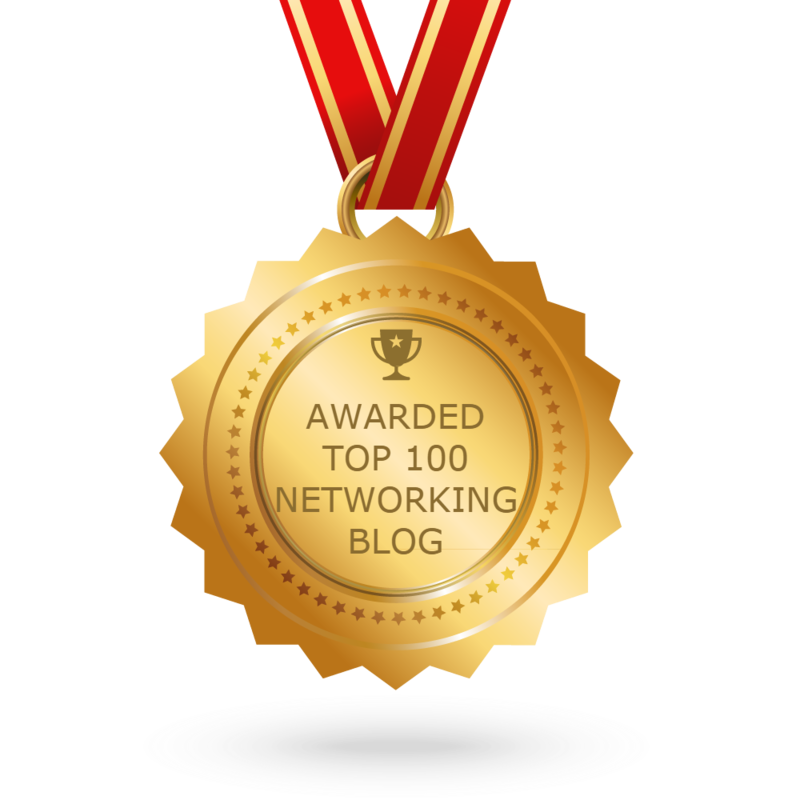 Allowed values for type include async, bri0, ethernet, fastethernet, fddi, hssi, loopback, null, serial, tokenring, and tunnel. number (Optional) Port number on the selected interface. first last (Optional) For the Cisco 2500 and 3000 series routers ISDN Basic Rate Interface (BRI) only. The argument first can be either 1 or 2. 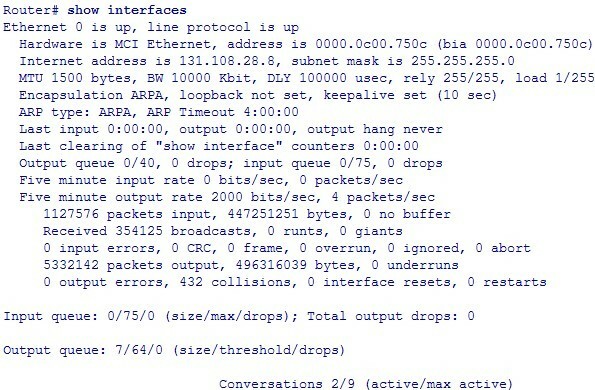 The argument last can only be 2, indicating B channels 1 and 2.
accounting (Optional) Displays the number of packets of each protocol type that has been sent through the interface. slot (Optional) Refer to the appropriate hardware manual for slot and port information. port (Optional) Refer to the appropriate hardware manual for slot and port information. port -adapter (Optional) Refer to the appropriate hardware manual for information about port adapter compatibility. The following is sample output from the show interfaces command. Because your display will depend on the type and number of interface cards in your router or access server, only a portion of the display is shown. When custom queuing is enabled, the drops accounted for in the output queues result from bandwidth limitation for the associated traffic and leads to queue length overflow. Total output drops include drops on all custom queues as well as the system queue. Fields are described with the Weighted Fair Queuing output in the table below. The following table describes the input queue and output queue fields shown in the preceding display. To display the number of packets of each protocol type that has been sent through all configured interfaces, use the show interfaces accounting EXEC command. When you use the accounting option, only the accounting statistics are displayed. Note: Except for protocols that are encapsulated inside other protocols, such as IP over X.25, the accounting option also shows the total of all bytes sent and received, including the MAC header. For example, it totals the size of the Ethernet packet or the size of a packet that includes HDLC encapsulation. The following table lists the protocols for which per-packet accounting information is kept. ARP For IP, Apollo, Frame Relay, SMDS. DEC MOP The routers use MOP packets to advertise their existence to Digital Equipment Corporation machines that use the MOP protocol. A router periodically broadcasts MOP packets to identify itself as a MOP host. This results in MOP packets being counted, even when DECnet is not being actively used. LAN Manager LAN Network Manager and IBM Network Manager. When the output indicates an interface is “disabled,” the router has received excessive errors (over 5000 in a keepalive period).